Christmas in Italian is Natale. This basically means birthday and refers to the fact that Christians celebrate 25 December as the birthday of Jesus Christ. 26 December is referred to as the feast of Santo Stefano. New Year is called Capodanno, literally the start of the year. The season wraps up on 6 January which is, officially, the Festa della Epifania. What can you look forward to from Luca’s Italy in the next month? Well, on 1st December, I will be revealing my interactive Advent Calendar with pictures, fun facts, recipes, and so on. There’ll be a surprise every day until the 24th December. 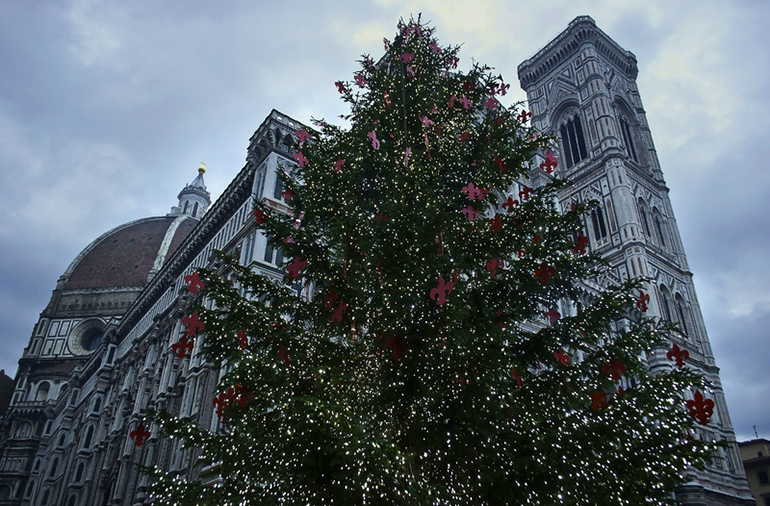 Secondly, there will be a series of articles looking at how the Italians celebrate Christmas, New Year, and so on. As with everything in Italy, it can be quite regional and there are differences in traditions all over the peninsula. There is also a unique festival at the end of the season, on 6 January called La Befana, which I will be telling you about as well. Finally, I’m going to look at what constitutes a traditional Italian Christmas meal with plenty of recipes, all well in advance, should you wish to celebrate Christmas all’Italiana.